Hosted by the Contributor Engagement Team, MozCamps are intensive, multiple-day gatherings that occur in strategic locations around the world. Over the course of two days, MozCamps includes keynote speeches by Mozilla leadership, workshops and breakout sessions (lead by paid and un-paid staff), and fun social outings. All of these activities combine to reward contributors for their hard work, engage them with our new products and initiatives, and align all attendees on Mozilla's mission. Based on our content priorities the theme this year will be Mobilize Mozilla!, in order to both reinforce the strategic importance of our efforts in the mobile market, as well as the ambitious goals we've set forth for our community to accomplish this year. The deadline for participation proposals has already passed. Want to help out at MozCamp? Great! Please see here for more information on opportunities to help make MozCamp a success! You can find the tentative schedule here. Mission MozCamp was a program for each person attending MozCamp to set a personal goal at MozCamp. Once everyone has their mission, we'll pair you with a mission partner who will help you succeed along the way. We ask that each person set their personal mission by November 14th. Facebook: Please 'like' Mozilla & Firefox, and chat with fellow attendees here on our Facebook page. Flickr: If you make picture and upload them on flickr, you can add them to the mozilla community flickr group, don't forget to also tag them with #mozcamp. 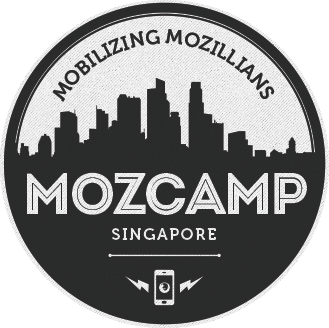 LIVE coverage of MozCamp: Air Mozilla will streaming live at here. This page was last modified on 30 September 2014, at 11:50.